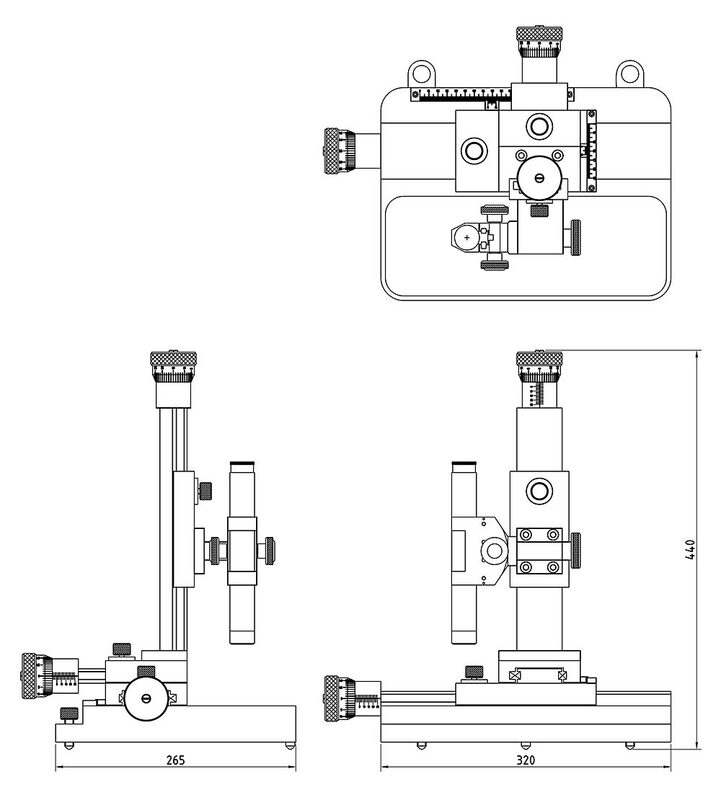 Holmarc offers traveling microscope with three axes measurement possibility; horizontal, vertical and right angled transverse motion. The instrument finds wide applications in general purpose scientific and industrial measurements. It can be used for accurate measurements of diameter of different objects. Other applications include accurate determination of small variation in the liquid levels, determination of refractive index of liquids, surface tension, viscosity etc. 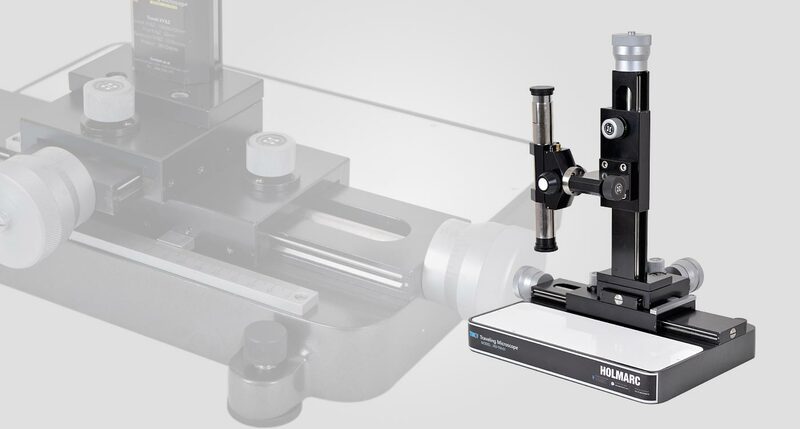 Holmarc's Precision traveling microscope model HO-TM-01 is fabricated using precision roller bearing slides in each axis, where as other commercial available models are fabricated using standard dovetail design. The precision roller bearing slides give us frictionless movements which helps to perform do the measurements more accurately than dovetail design. Each stage (X, Y and Z) is equipped with coarse and fine movements. Coarse movement can easily be done by moving the stage by hand and after locking the stage at a particular position the fine movement/measurement can be done by the micrometer head. The resolution of the fine movement is 10 micron. The use of micrometer head enables precise and accurate measurements unlike commonly available traveling microscopes with vernier scale readings. The microscope tube is mounted on a rotating arm which is 360 degree rotatable and lockable. A rack and pinion type focusing mechanism is attached to the microscope tube for focusing the objects. The microscope tube is fitted with 3X long working distance objective and 10X eyepiece with cross hair.